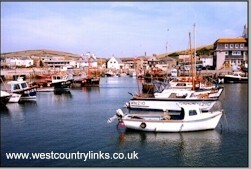 Dorset Hotels and Holiday Cottages book online. West Country. Here's a selection of Dorset hotels, bed and breakfast, b and b, and various accommodation available. Book a Dorset Hotel the best online deals and discounts for rooms in Dorset, hotel reservations, mini breaks, luxury accommodation and weekends away. Great deals on Dorset accommodation, Dorset weekend breaks, and more. Great for bank holidays or short breaks. Book online. The Best Western Hotel Royale Bournemouth is a privately owned Best Western Hotel Royale is situated on Bournemouth's exclusive and tranquil picturesque East Cliff. The Suncliff Hotel Bournemouth is situated on the prestigious East Cliff of Bournemouth, within easy walking distance of Bournemouth’s stunning blue flag beaches, award winning gardens and vibrant town centre. One of Bournemouth's premier 3 star hotels, The Suncliff is the perfect choice for Family Holidays, Short Breaks or Business Trips, many with fabulous ocean views and views over Bournemouth. Eype's Mouth Country Hotel Bridport is a family run 18 bedroom hotel set in the small Dorset Village of Eype. With superb sea views, and just a few minutes walk to the beach, the hotel occupies a unique position on the Heritage Coastline. This stunning location provides the perfect base for walking along the Coastal path with much to explore and observe for the keen rambler, ornithologist, anthropologist or geologist & is highly recommended by the River Cottage Film Crew. Owners Kevin & Glenis French have a wealth of experience working within the hotel industry. The Bridport Arms is a Thatched Inn Dorset right on the beach at West Bay, an ideal base for walking holidays, fishing and fossil hunting along the Jurassic coast line. Afterwards why not relax and unwind in our bar or restaurant and enjoy one of our local seafood dishes off our special board or delight in the sumptuous flavours of our famous BA Fish pot for two!! Enjoy a chilled glass of wine or traditional local ales before retiring to one of our superb en-suite hotel rooms. Stonebarrow Manor Bridportis ideally placed for day excursions into East Devon or east to the Georgian town of Bridport and “Hardy” country to Dorchester. There are several beaches nearby and many wonderful walks across the cliffs or local paths and nature reserves. Local leisure facilities include a covered heated pool, Golf, Sailing, Tennis, Deep Sea Fishing and Diving; Fly fishing, Coarse Fishing and Horse Riding across Golden Cap. Organised Fossil Hunts are regularly available. A little further a field are the unique Chesil Beach, Abbotsbury, with its Swannery and sub-tropical gardens, and the bustling resort of Weymouth. There is a wonderful Saturday street “Brocante” market in Bridport. Axminster, Dorchester and Honiton are excellent hunting grounds for antiques, old and rare books etc. The White House B&B Hotel Christchurch Dorset Ann and family welcome you to their beautiful Victorian B&B Hotel in Highcliffe Christchurch Dorset UK. Tastefully decorated and furnished to a high standard with many personal touches to make you feel at home. You can expect a generous, freshly cooked breakfast served in the delightful dining room. Bedrooms both double and twin are bright and clean with television, hairdryers, clock radios and welcome trays provided for your added convenience. The Countryman Inn Dorchester nr Lulworth is a family pub in the heart of hardy country, situated just off the A252 at East Knighton, All rooms are en-suit. T.V, iron and ironing boards, hair dryer and tea and coffee making facilities. The bars have cosy open fires and a rustic atmosphere. an extensive range of beers and lagers is available, including low alcohol brands. good home cooked food is served, and our well known carvery which is available six days a week A vegetarian option is also offered . Children are well-catered for in the family room, play area and garden, There is even a special children's menu. City Lodge Ferndown is Beautifully situated beside the River Stour, City Lodge is 2 miles from Bournemouth Airport and within 5 miles of Bournemouth, Poole and Wimborne. City Lodge has 45 modern and comfortable en suite bedrooms with Freeview and Free Wifi. 24 hour reception so there is always someone on hand to help. The Riverside Restaurant is open for Breakfast , Lunch and Dinner and serves a Carvery every day. There is a large free secure car park and if you stay at City Lodge before of after your flight claim. The Countryman Inn Dorchester nr Lulworth is a family pub in the heart of hardy country, situated just off the A252 at East Knighton, All rooms are en-suit. T.V, iron and ironing boards, hair dryer and tea and coffee making facilities. The bars have cosy open fires and a rustic atmosphere. an extenxive range of beers and largers is available, including low alcohol brands. good home cooked food is served, and our well known carvery which is available six days a week A vegetarian option is also offered . Children are well-catered for in the family room, play area and garden, There is even a special childrens menu. Blue Sky B and B Lyme Regis are just a stones throw away from the historic town centre of Lyme Regis and less than 5mins walk from the fantastic Jurassic fossil beaches. Our rooms are comfortably furnished, all ensuite, and offer drinks facilities & freesat/freeview TV. At breakfast we offer a selection of cooked traditional foods, and have an excellent vegetarian option. We are able to help you make a booking for a guided fossil walk whilst you are here, and are within walking of excellent restaurants including Hix Oyster Bar. River Cottage canteen is in easy drive of Lyme Regis, and Lyme Bay offers a good selection of quality eateries. St Leonards Hotel St Leonards nr Ferndown. Take time out to enjoy this traditional country hotel on the edge of the still largely unspoilt New Forest. The attractive restaurant and bar overlook a pretty courtyard and serve a fine selection of freshly prepared meals. Ringwood nearby, has always been known for its fine ales. Our 35 en-suite bedrooms have recently been fitted out with brand new deep pocket, sprung divan beds (April 2008) and a refurbishment programme of all bathrooms is due for completion early June 2008. Note all our rooms are non-smoking. Check in time 1400 hours, check out time 1100 hours. The hotel has a large open garden and four function rooms which will accommodate up to 150 guests, perfect for weddings, events and conferences. At Moortown Lodge, Ringwood New Forest you can be sure of a warm welcome and a relaxed friendly atmosphere. We provide the highest standards of guest accommodation with many of the features to be found in good quality hotels. We have been awarded the AA’s 4 Star “Highly Commended” star rating, which is only awarded to the top 10% of the AA’s graded properties. We are also recommended by The Michelin Guide. Moortown Lodge, originally a Georgian Hunting Lodge retains many of the features of that era. Now, fully modernised, it is a charming family run Guest House offering guests friendly hospitality and luxury grade B&B accommodation. Arndale Court Hotel Poole has a warm and friendly welcome for all guests at this well established 3*** hotel, offering good quality en suite accommodation with an added touch of a natural relaxing atmosphere. The location could not be better being situated within the major feeder links, for the holidaymaker, or business traveller alike. The Aqua is on the Isle of Portland, a headland connected to rest of England by Chesil Beach, a short walk away. The Aqua, constructed of Portland Stone, with a clean modern interior is situated on a stone pier, in historic Castletown, overlooking the whole of Portland Harbour. Yellowham Farmhouse Dorchester Puddletown is situated in the very heart of Hardy Country on the edge of the idyllic Yellowham Wood within 120 acres of farmland. The farm contains an abundance of flora and fauna which has been gently nurtured over the years. The accommodation is to the rear of the main house in a cloister type setting where peace and tranquillity are guaranteed. Centrally heated rooms with TV and tea/coffee making facilities. All rooms are en-suite and on the ground floor. We have a hard tennis court with spectacular views over the countryside and a croquet lawn for the less energetic. We are just 1.5 miles East of Dorchester. The La Fleur de Lys Shaftesbury is situated in the centre of the Historic Hill top town Personal friendly service with great food & an intimate setting. All rooms superbley well equiped & offer a very high standard of comfort & luxury. The Eastbury Hotel Sherborne is a traditional, privately owned hotel, where your individual requirements will be fully catered for. The Eastbury is a fine example of an early Georgian residence. Typical of the period, it has graceful, light and spacious rooms which offer home-from-home comfort throughout. There is a wonderful relaxed atmosphere that immediately makes you feel at ease. We are proud of the exceptional level of personal service, customer care and the food we offer. This is recognised by the English Tourism Council ‘Silver Award’, an accolade based purely on quality, and an exclusive award that few hotels in the country can boast. Primrose Cottage, Winterbourne, Steepleton, Dorset, sleeps 4. Nestling in beautiful countryside just 5 miles from West Bay, these comfortable lodge style properties offer an ideal base from which to explore the Jurassic Coast and glorious landscape inland. Along with five caravans tucked into a field behind them, they sit on the owners; working sheep farm within a short drive of the Abbotsbury Swannery (5 miles) and subtropical gardens, and Weymouth (7 miles) with its traditional seaside delights, safe beaches and sealife centre. Pub serving food 1 mile. The Town Hall Lodge Swanage is a magnificent period building which has undergone an extensive yet sensitive conversion to provide friendly, comfortable and contemporary accommodation, situated behind the Town Hall overlooking the old gaol in Swanage. Start your day in our open plan oak-floored dining room, enjoy our fresh fruit salad, yogurts, cereals and many other breakfast options all served from the huge welsh dresser, whilst we cook your locally sourced full English breakfast in the adjoining flag stoned kitchen. Purbeck House Hotel & Louisa Lodge Swanage. Nestled in extensive gardens in the centre of Swanage, this unique family-run hotel combines the atmosphere of a traditional country house with all the amenities of a modern hotel. Steeped in history, the 38 bedrooms are divided between the main house, constructed in 1875, and the newly-built Louisa Lodge. All of the bedrooms are en suite and some have sea or garden views. The Grand Hotel Swanage nestles in the heart of the beautiful Isle of Purbeck, commanding a majestic situation providing a most spectacular view across Swanage Bay and Peveril Point. Many of the rooms and public areas take advantage of these delightful views, where you can relax enjoying a drink, read complimentary newspapers and magazines. All 30 bedrooms are individually decorated complementing the ambience of a time gone by. A lift serves all floors including lower ground where there are full leisure facilities. Autumn Cottage, Sydling St Nicholas, Dorset. sleeps 5. Set in the picturesque village of Sydling St Nicholas, just a short stroll from the village pub serving food, this warm and very comfortable property is in the heart of Thomas Hardy country, just 8 miles from historic Dorchester. At the end of a row of four in a quiet location adjacent to the owners home, it enjoys a pretty garden and views of the surrounding hills which are excellent walking country. The Beach House Weymouth. Enjoy a relaxing stay in Weymouth at The Beach House, a Georgian Guest House with a distinctive round design and seafront location. Just 10 metres away from the beach, our modern, light and airy guest house has a variety of accommodation across eight guest bedrooms all with sea and Esplanade views. Vegetarian & continental options are available and special dietary needs can be catered for. Kings Head Hotel Wimborne Minster is an imposing 200 year old Hotel, standing right on the town square, in the heart of the local community and the beautiful town of Wimborne Minster. Step off the High Street into Laing’s Bar and sink into the sofas while enjoying a cappuccino and a pastry. Our restaurant offers an extensive menu with food served all day, from classic favourites to more indulgent choices, all at great value.